The name “Kybele” originates from ancient Turkey, or Anatolia, considered to be the cradle of civilization. In 7000 BC, community and agriculture developed here, and Kybele became known and respected as the Mother goddess. Hundreds of small clay Kybele figurines have been found throughout contemporary Turkey in archeological excavations. 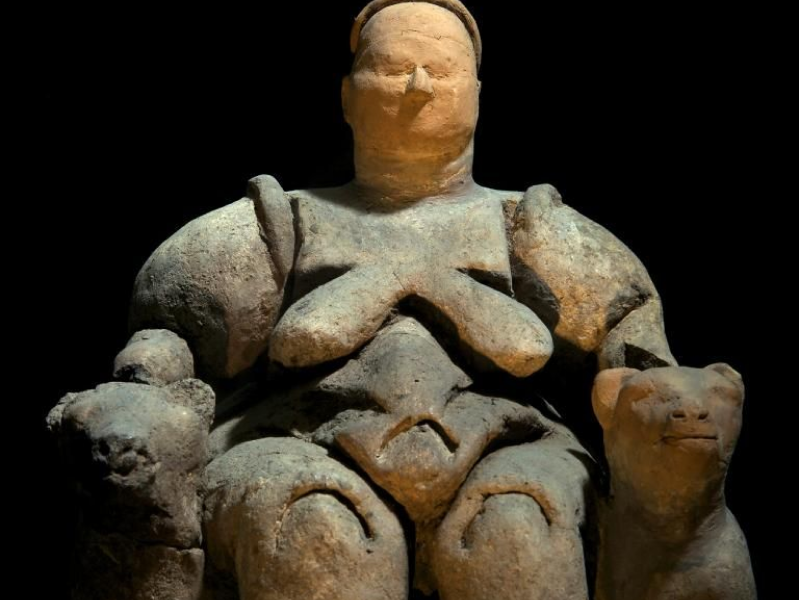 The statuettes depict the fertility goddess as a plump woman sitting on a throne, giving birth, flanked by leopards. Ancient history has shown us that considerable importance was given to women and newborn babies. Our work began in Turkey and that is why we adopted the name. Kybele symbolizes hope for the future – a future that offers every mother and newborn the opportunity to experience birth in a safe, respectful and supportive environment. After all, safe childbirth makes a difference in the lives of mothers, babies and families of the world.